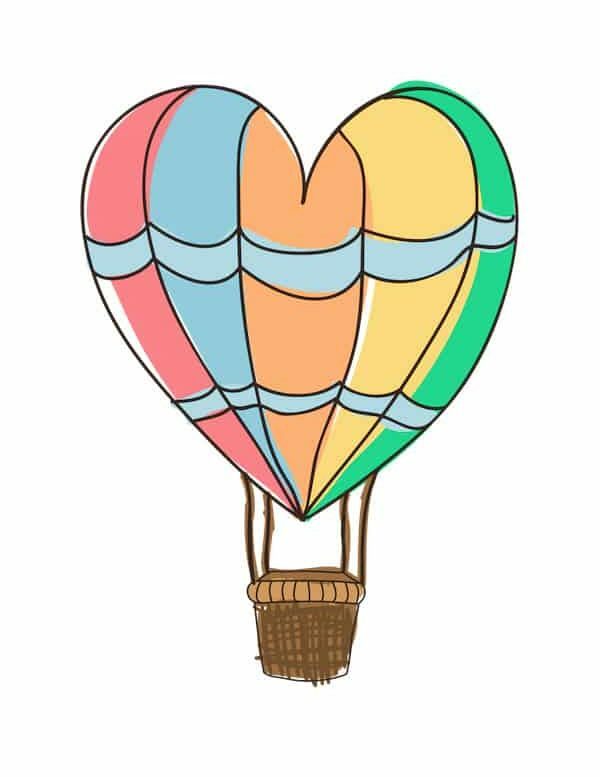 This is a guest post by Nausheen of Globe Gazers. The Windy City. The Second City. The City of the Big Shoulders. No, wait. That’s not right. But it’s not an offbeat claim. There are plenty of romantic things to do in Chicago if you know where to look and you will, by the end of this post. 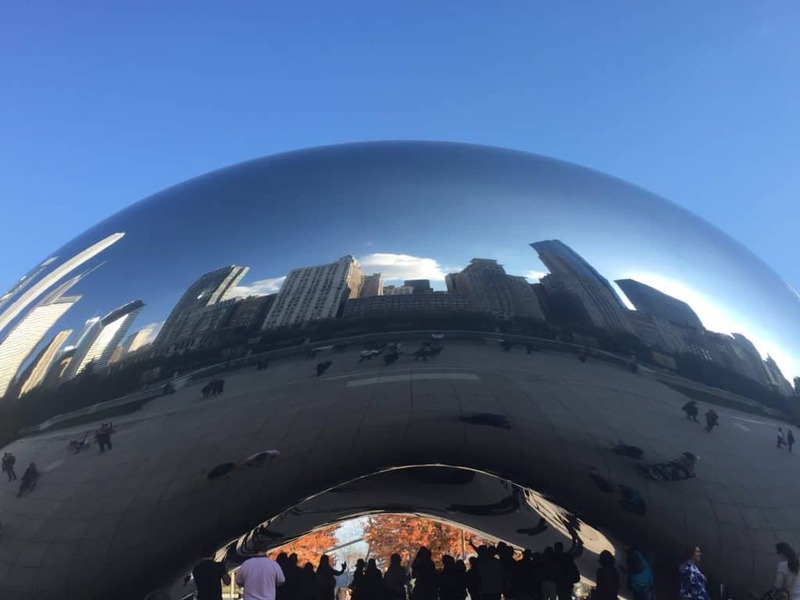 Named best big city twice by Condé Nast Traveler (yes, beating New York), it’s no doubt that Chi city deserves a spot on your must-visit list. And in case you still need convincing, here are 17 more reasons in the form of romantic things to do in Chicago. Chicago is a foodie city, no doubt, and sweet treats are definitely part of the mix. Gourmet donuts are a thing in the Windy City and you’ll have your pick of several shops churning out the fried dough. Grab a hot cup of coffee to balance out the sweet lemon pistachio old fashioned donut from Stan’s (a personal favorite) and check out this list of where to get the best donuts in Chicago for even more choices. Why not try them all? Visiting in winter months? 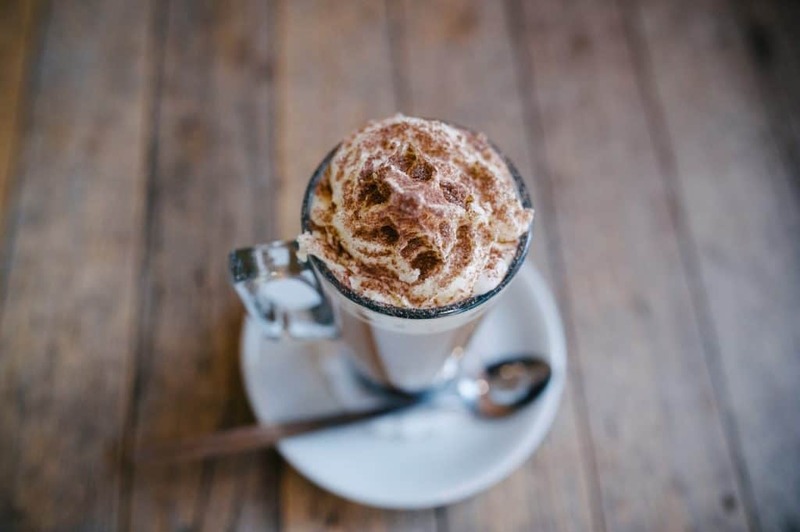 Head to Mindy’s Hot Chocolate and choose from 7 different types of cocoa (including a boozy one! ), each topped with large homemade marshmallows. Go for the hot chocolate, stay for the brunch. And, you can never go wrong with a big tub of the city’s famous Garrett popcorn. Get the Garret mix — a sweet and salty blend of caramel and cheddar cheese coated popcorn. This also makes a great gift for someone back home! Spend some time whipping up a delicious meal with your honey while going behind the scenes of Chicago’s deep dish pizza. Sure, you could simply go out for a saucy slice of Chicago deep dish pizza, but for a real adventure take a class and make the pie yourself. Or, take a pizza tour and hop from pizzeria to pizzeria for a few hours. Find the slice you both love best and ship a box of that pizza to your home so you can relive the memory later. Chicago has a slew of rooftop bars with stunning views. Make your way to Cindy’s Rooftop, located in the Chicago Athletic Association Hotel, around sunset. Grab a drink (may I recommend the Grey Garden?) and head to the balcony for sweeping views of Millennium Park, the Art Institute and the lake. Not afraid of heights? Don’t skip the Signature Lounge on the 96th floor of what was formerly known as the John Hancock Center. Have a cocktail with the whole city sprawled out and lit up below you. Ladies, don’t miss snapping some pictures of the view from the women’s restroom to share with your beau! It’s known as one of the best views in the city. Feeling peckish? Have a romantic dinner at The Signature Room, one floor down. A little laughter goes a long way in keeping the playful side of your relationship alive. Steve Carell and Tina Fey are only two of many famous comedians Chicago has churned out, and many got their start training and performing improv at Second City. 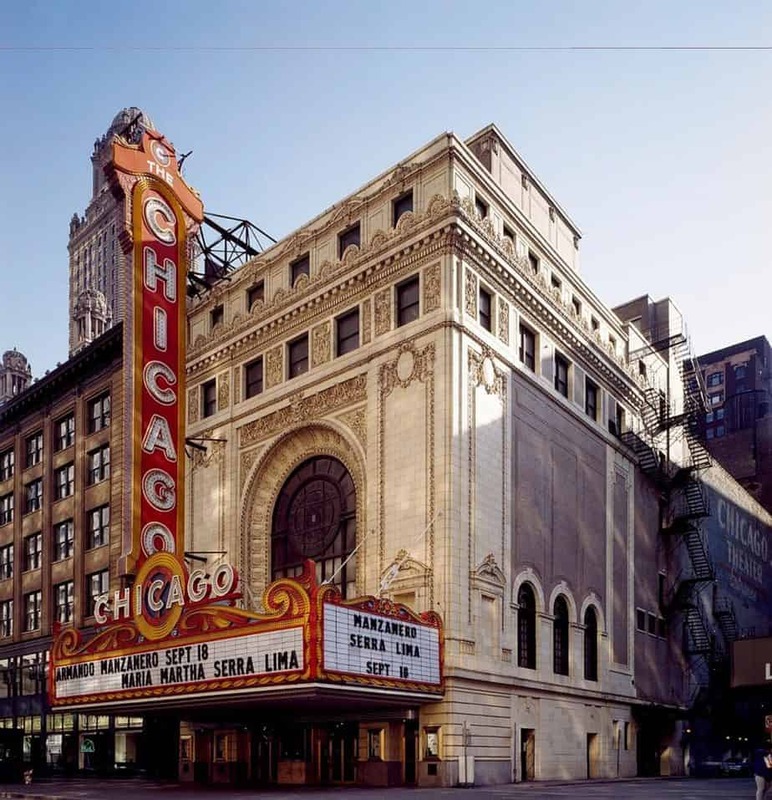 Spend an evening laughing with your sweetheart at this iconic Chicagoland comedy club. Enjoy food and drink while you marvel at gutsy improv performers. Makes for a great date night! Theatre or live comedy? A perfect Chicago date night! Feeling restless? If you’re visiting Chicago in the winter months, lace up your ice skates and hit the Maggie Daley Park Skating Ribbon. You’ll join families and other lovebirds as you glide along in a winter wonderland, with the city’s skyscrapers towering beautifully around you. Or, take a day trip to Starved Rock. Less than a couple hours’ drive away you’ll find a quiet escape from the hustle and bustle of city life. Hike the park’s beautiful trails and take in waterfall views along the way. If walking is your activity of choice, be sure to window shop along Michigan Avenue. Know as The Magnificent Mile, or Mag Mile, this street is lined with upscale shops. You can also walk the city’s River Walk hand-in-hand, popping into different shops for wine, gelato or even sit down meals as river boats pass you by. Want to keep it more low key? Watch other people be active instead! Chicago is home to some great sports teams: the Cubs, White Sox, Blackhawks, Bulls and Bears. Whatever your sport, Chicago likely has a team for it worth watching. Get decked out in home team colors and head to a game. Cheer on a team together, and don’t forget the snacks! Take in smooth jazz tunes at Green Mill, also known as Al Capone’s old hangout. Nowadays, it’s all about the chill ambience and great music. Another crowd favorite is Kingston Mines for more jazz and blues music. Get dressed up and hit the town for a relaxing, musical night. Blues and jazz not quite your scene? Try the Chicago Symphony Orchestra, instead. Or, check out a live band at The Vic Theater for something more upbeat. The architecture in Chicago demands admiration, and there’s no better way to take it in than through one of the architecture river cruises. Feel the wind in your hair as you cruise by beautiful city scenes and your guide provides context for the impressive buildings all around you. Book a luxurious experience at Aire Ancient Baths, housed in a preserved building that charms with its exposed brick and industrial columns. Splurge on a massage, red wine soak or another calming ritual with your sweetie. A great way to unwind and up the intimacy in your relationship! Make memories at the very first planetarium in America. The planetarium often puts on celestial shows and creative events, like Adler After Dark or Sun Salutation Yoga. Explore the starry exhibits together, and don’t forget to step outside for a peek at the real stars and a gorgeous view of the Chicago skyline! Often booked as a popular wedding venue, a fun visit to the Adler certainly shouts romance. Hunker down with a board game and a beer at this local bar that’s all about laid-back fun. There’s nothing like some healthy competition to keep the spark alive over Guthrie’s cheese pizza and chilled drinks. Or, if it’s more your speed, a hot tea or coffee. A great date spot for any couple! Grab a quick and classy lunch at one of Chicago’s chic food halls, like Revival or Chicago French Market. Choose a few different dishes from different establishments to make yourselves a fun tasting menu, of sorts. And, if you’re both craving different cuisines there’s no better way to compromise on where to grab a meal. 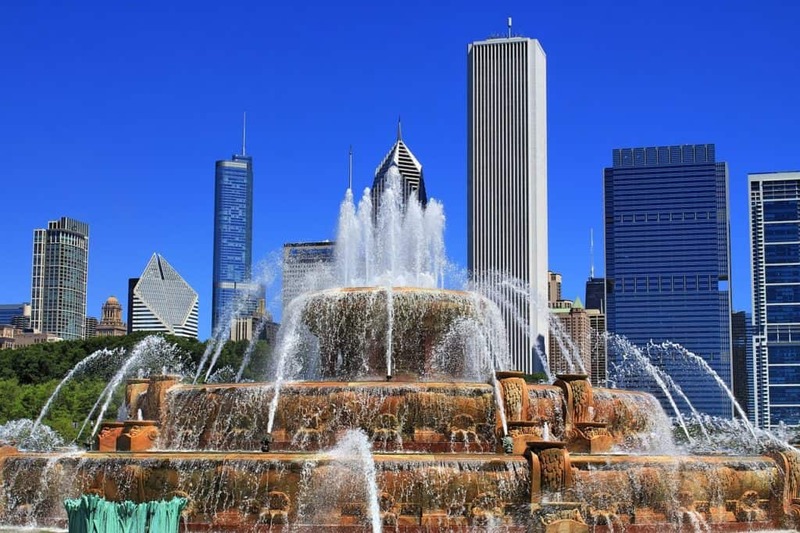 Once the sun has set, head to Buckingham Fountain in Chicago’s Grant Park for a stellar light show. The fountain is one of the largest in the world and was inspired by the Latona Fountain at the Palace of Versailles. From May to mid-October, the fountain puts on a beautiful water and light show for 20 minutes every hour. With the city skyline lit up behind it, the fountain’s own water and light show is even more spectacular to behold. While touristy, Navy Pier is a fun area to spend some time taking a leisurely stroll along the shoreline or riding the Centennial Wheel. From Memorial Day through Labor Day, you can also catch a magnificent fireworks display. If you’re in town on a Wednesday night, catch the show at 9:30pm or at 10:15pm on a Saturday night. Chicago’s beach is truly a beauty. You have sand and lake on one hand, flanked by the city skyline on the other. Walk, jog or bike the lakefront trail together or simply set up shop on the sand and enjoy each other’s company to the sound of crashing waves. A bit of a hidden gem, Milton Lee Olive Park provides a quieter place to play on a nice day. Pack a picnic and spend a couple hours catching up on life and taking in views of the city and nearby Navy Pier. 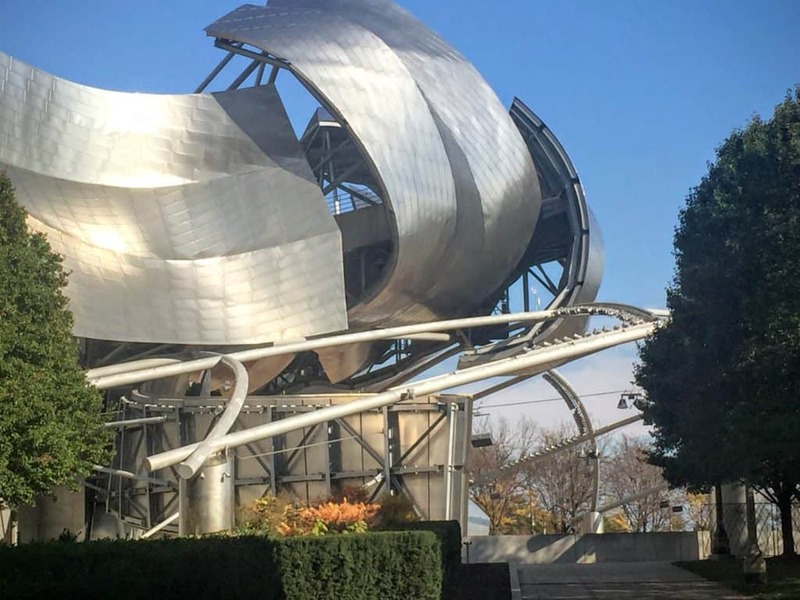 There’s beauty around every turn at Millennium Park and if you’re visiting in the summer months, be sure to catch a show at the Jay Pritzker Pavilion. Bring wine and snacks, a picnic blanket or lawn chairs, and settle in for an enjoyable evening outdoors. When you first think of America’s most romantic cities, Chicago may not pop into your mind. At the end of the day, it’s a city filled with kind, hard-working people who love good food and good times. You can be sure that if a romantic weekend away is what you’re looking for, you absolutely can find that in this town. 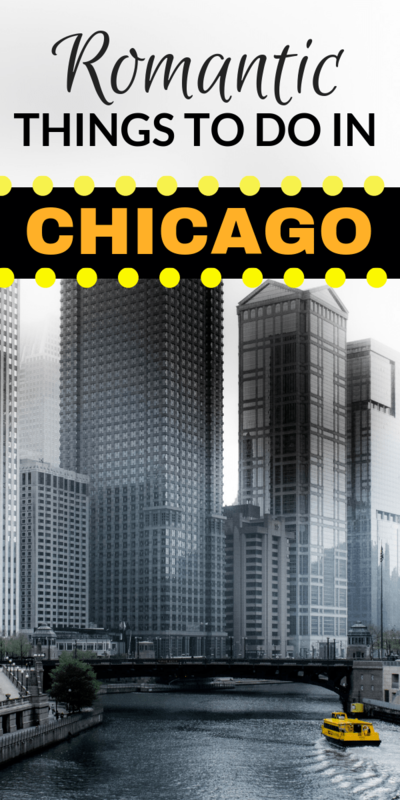 Have you visited Chicago yet? 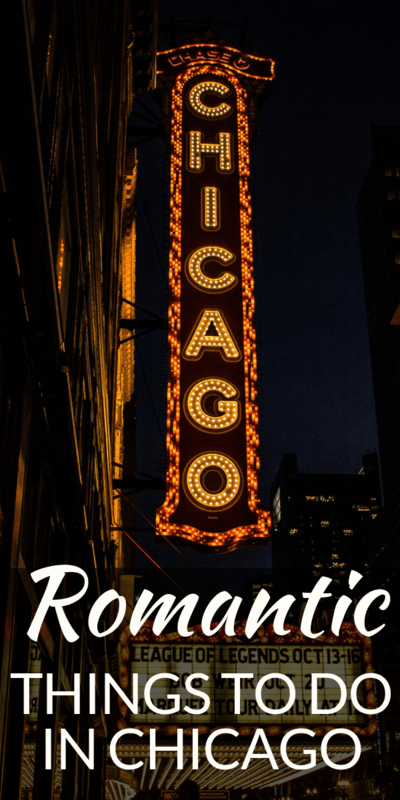 What’s your favorite romantic thing to do in Chicago? Share in the comments below! Author Bio: Globe Gazers is run by part-time traveler, full-time desk jockey and wife, Nausheen. Her blog inspires readers to use all their vacation days, eat deliciously well and take care of their physical and mental wellbeing. Keep up with her adventures and advice by signing up for the monthly Globe Gazers newsletter!